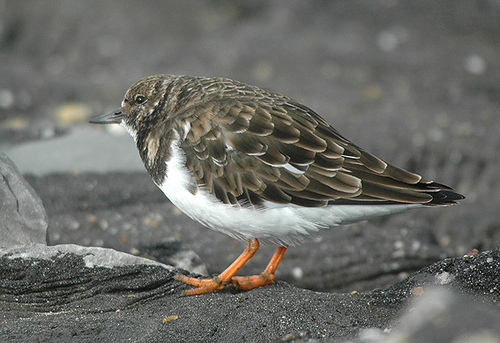 The Ruddy Turnstone is often found near the coastline in stony environments. It wanders around in small groups between the basalt boulders on breakwaters. Like many other waders, it breeds in the north: Canada, Greenland, and the north of Europe. 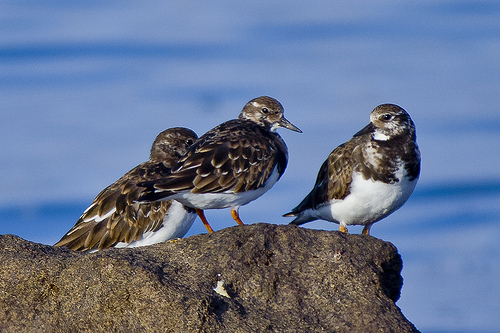 The Ruddy Turnstone has reddish brown wings. The Ringed Plover has grey and brown wings.